It's Not Work, It's Gardening! 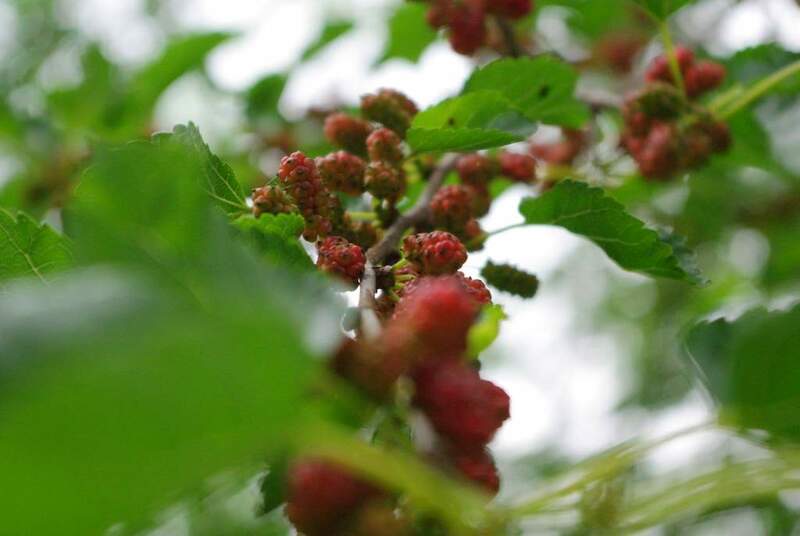 : Here come the mulberries! These are the white mulberry trees that seem to grow everywhere, and are thought of as "weed" trees in most places. In fact they're considered to be an invasive species in many parts of the country. Apparently white mulberry is native to Asia and was introduced in colonial times as a food source for silkworms. 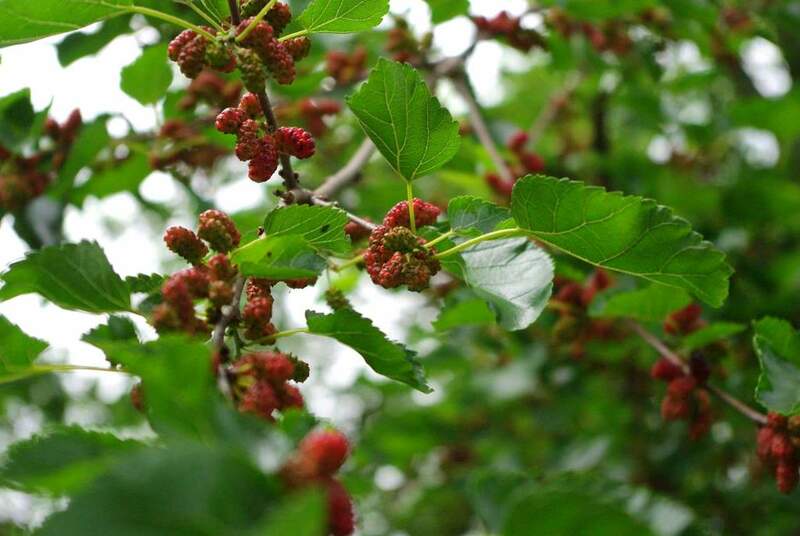 The white mulberry trees in my yard produce tons of berries most years, which many species of birds love: robins and cedar waxwings in particular. 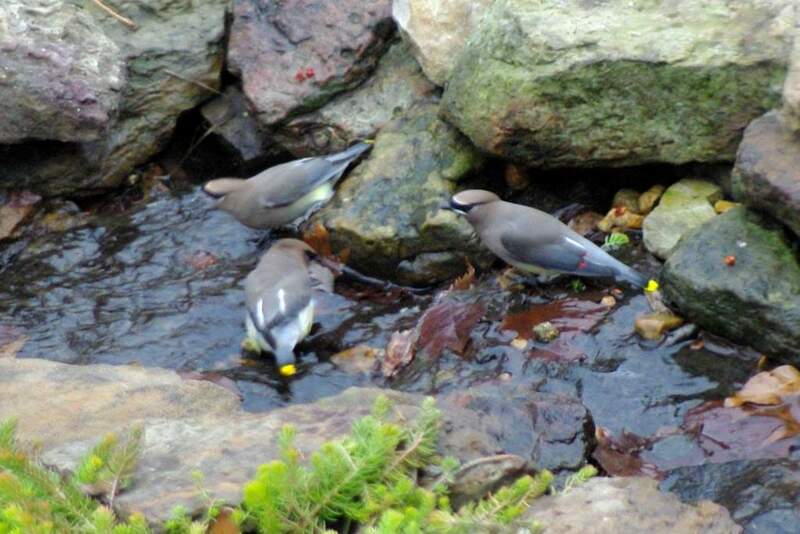 We'll soon see flocks of the waxwings moving from mulberry tree to mulberry tree in the neighborhood. 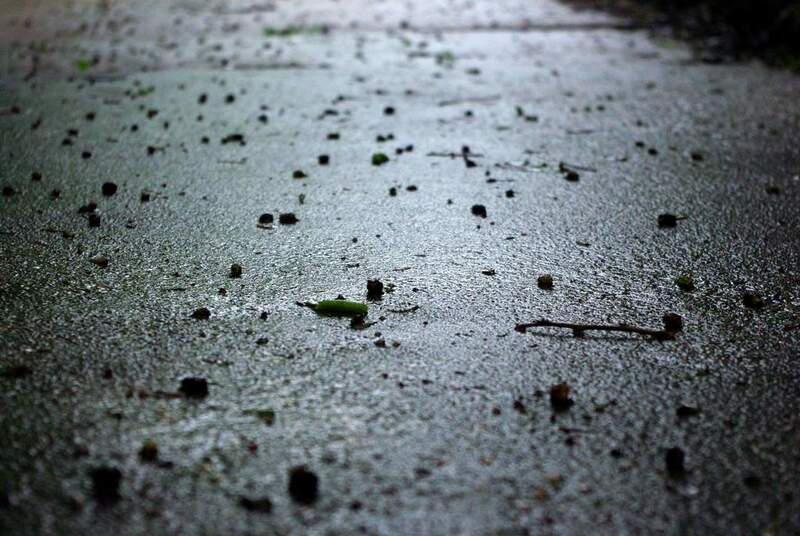 They'll sometimes visit our "stream" at this time too. 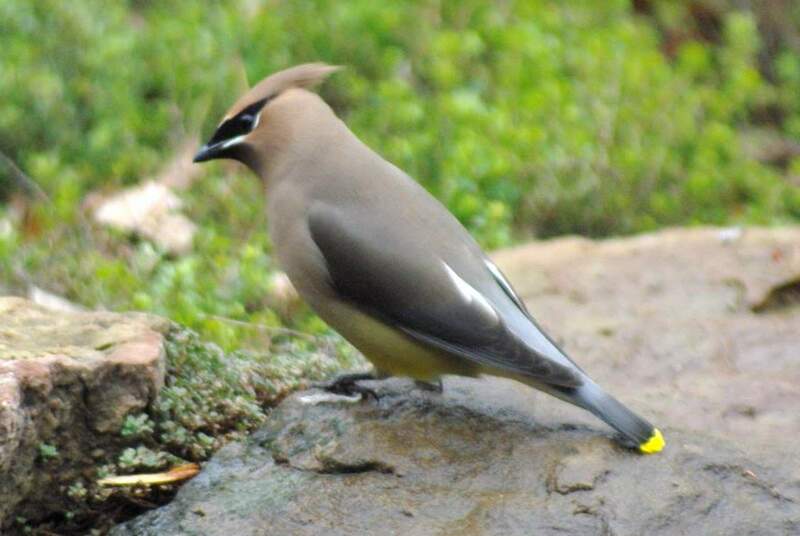 They are such a beautiful bird! 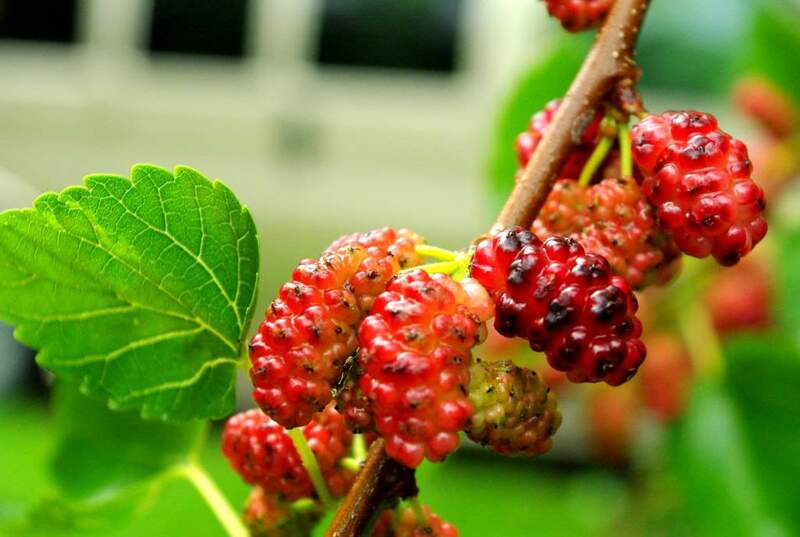 The best thing about the mulberries is that with them producing so much fruit, it's easy to collect enough to make at least one pie, even if the birds and other critters eat all they want. 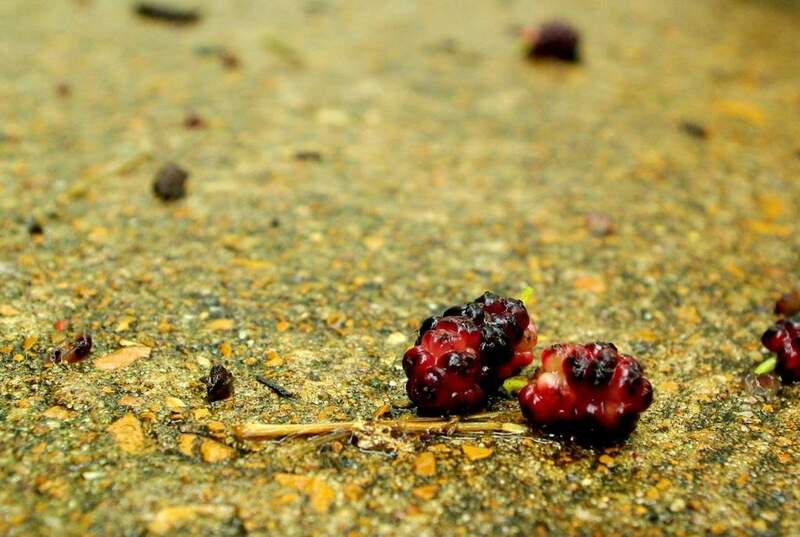 The bad thing about the mulberries is that with so much fruit, a lot of it falls and covers the driveway for several weeks. This is when our driveway and the door mats in our house get round purple stains on them. The other bad thing about them is their seedlings pop up everywhere, thanks in part to the birds, but also just because of the large number of berries that fall to the ground. One interesting thing about the white mulberry is the roots are orange with purple stripes! It makes them really easy to identify when digging a new planting hole -- I'll avoid the roots of desirable trees, but those orange roots get chopped without a second thought. Now I just need to go dust off my mulberry pie recipe and pick up some pie crust dough. I know I could probably just make the dough myself, but I've got a long enough list of tasks that need to get done. Besides, this is blog is about gardening, not baking!